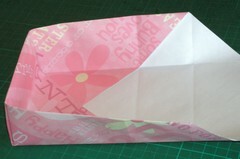 today i will show you step by step how to fold an origami box with your scrapbooking paper. you do not need any glue! it is easier than it looks. i found it in the december 07 issue of creating keepsakes magazine, and i have folded it countless times since then. you need 2 sheets of paper. THEY HAVE TO BE SQUARE. 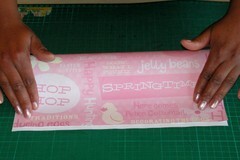 they can be any size, but for the purposes of this demo, i will use 1 sheet of 'pattern' paper for the lid - 30cmx30cm or 12'x12'. 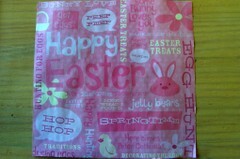 use paper that goes with your theme. 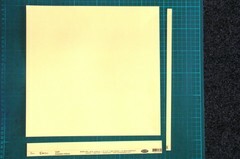 the second sheet of paper, for the bottom, has to be a little smaller. i made mine 29cmx29cm or 11.5'x11.5'. put your paper 'nice' side down. fold it in half horizontally. 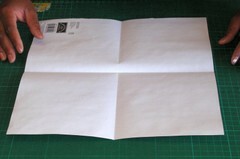 open it back up, turn the paper 90 degrees, and fold in half again. open up again. you will have a folded cross in the middle as shown. 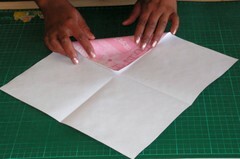 fold the corners inwards to the middle of the paper. leave them folded in. 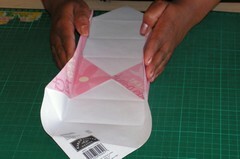 leaving the corners folded in, fold the left side and then the right side into the middle. 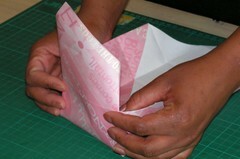 folding each side in, open out again, turn the paper 90 degrees, and repeat, until all 4 sides have been folded in. open 2 corners diagonal to each other, and leave 2 folded in. point the one open corner toward you. lift the 2 sides of the box upwards as shown. 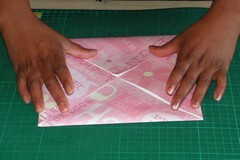 holding the 2 edges up, use your 2 forefingers and coax the corner folds inwards. this will pull the third edge upwards. you might have to fiddle a little, sometimes it takes a little trial and error to get it to work. just be patient. 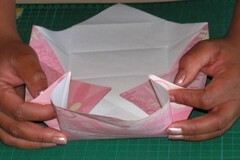 fold the top corner into the box. 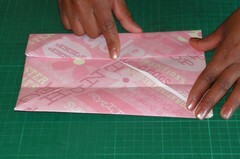 fold in the last edge the same way. 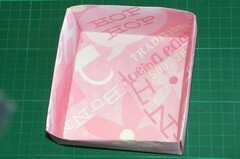 using the slightly smaller matching paper, fold another box the same way for the bottom. 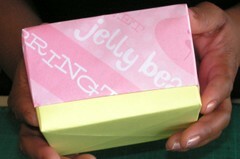 the smaller box will the fit neatly inside the lid. now you can decorate the box as you like. wendy lent me her hands in these photos. she does beauty therapy, but she is actually a very talented box-folding assistant. you can see how i folded several different sized boxes at christmas time here. and you can see another example here. if for whatever reason you do not understand these instructions, please email me, or leave a comment, and i will email you back. also let me know if it did work, and email me photos of what you did with your box! 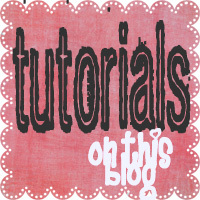 find more papercrafting, scrapbooking and photoshop tutorials here.